Our organization was established to recognize the value, contributions and struggles of all Americans and to better understand past and current immigration, migration and settlement issues. 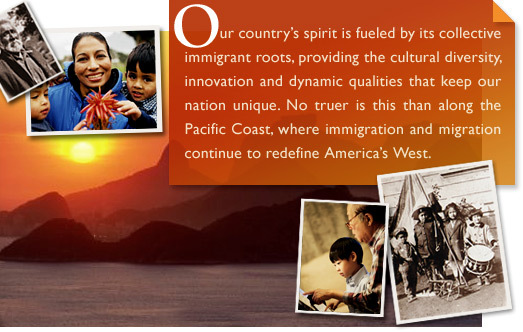 Make connections and participate in activities and programs, sign up for E-News or support Pacific Coast Immigration Museum. Visit our Interactive Learning Center or just browse to discover your heritage, explore the cultural mosaic of our nation or learn about immigration history and current issues.